From the tanka sequence above, you can see that Ken has a good eye for a story, then he injects heart and soul. He learnt early in his career that you can stumble around all day, tripping over similar stories, and that the art of the writer is to recognise them. The s/short stories within were penned while a member of Southscape Writers, a group of friends that came together once a week to enhance their passion of writing. The ballads, while not structured in the accepted metre, reflect the author’s lackadaisical Australian style. 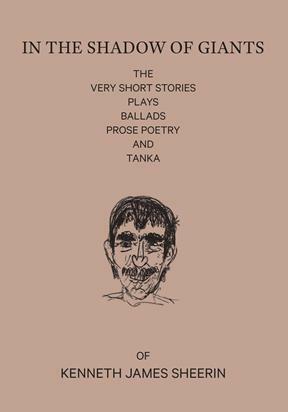 Ken is a local (Geelong) self-published author, whose stories and verse reflect life in the region. His work has been aired on radio, (RPH and Pulse Radio) and short plays performed at the Potato Shed. He also dabbles in scriptwriting for film, plus tanka, (the ultimate short story/song) and does spoken word (ballad and prose poetry) in the district.